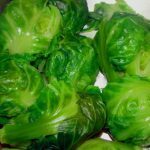 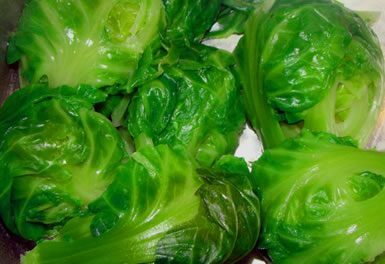 The most common ways of preparing Brussels Sprouts is by boiling, steaming, stir-frying, grilling or roasting. 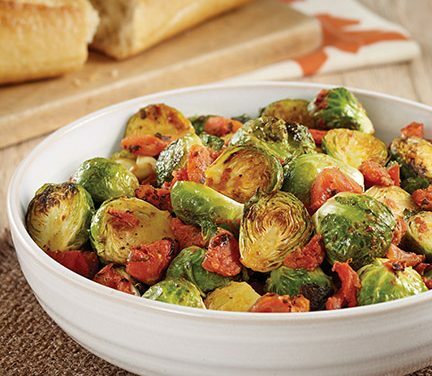 One cup of Brussels Sprouts contains about 40 calories, 8 grams of carbs, 3 grams of fiber and 2 grams of sugar. 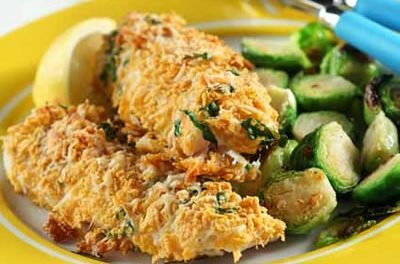 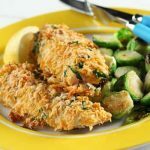 It provides more than a day’s worth of the recommended amount of Vitamin C and Vitamin K.
You can assemble this dish in the morning and slip them in the refrigerator, so all you have to do is slide them in the oven at dinner time. 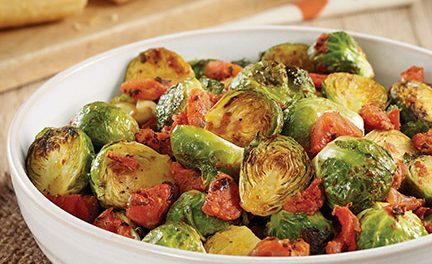 Recipe for Roasted Brussels Sprouts with Tomatoes from our Side Dishes recipe section.